Let us begin by taking a look at Armenia, a country with difficult framework conditions, but quite engaged doctors, such as Dr. Hrachuhi Ghazaryan, working in Yerevan State Medical University. Over the past decade, she has seen a marked increase in cases of antimicrobial resistance (AMR) among her patients, though the lack of robust data collection on AMR in Armenia makes it difficult to specify how much the problem has grown. According to Ghazaryan, most cases of antibiotic resistance appear in E. coli, methicillin-resistant staphylococcus aureus (MRSA), Shigella and Salmonella infections. The challenge of antibiotic resistance in Armenia stems in large part from the fact that pharmacies don’t require a prescription for antibiotics, meaning that patients often start taking them before they even see a physician. “With every infection, I say, we should wait, we should see,” says Ghazaryan. “It is not easy to wait, it is easy to prescribe. But in the end, if you do that, you are not a good doctor.” It can be difficult to take a “wait and see” approach when patients are pushing for antibiotics, but Ghazaryan says this is one of the keys to stop the spread of AMR. 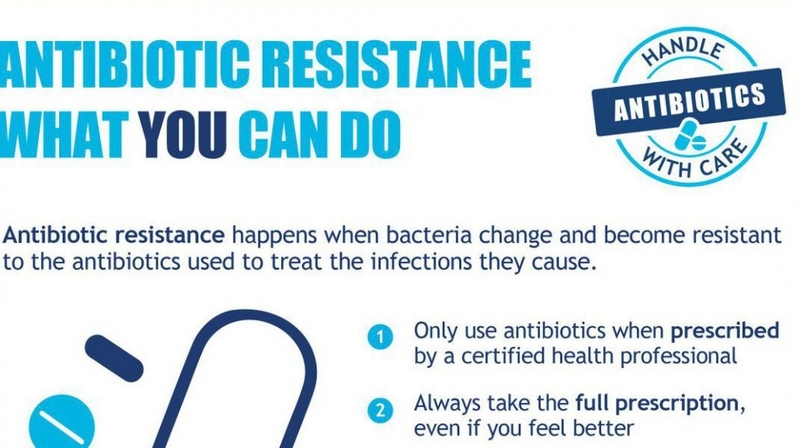 Antibiotics are precious. We must handle them with care – this topic is also subject of the Second Semmelweis CEE Conference on March 7th and 8th, 2017 in Budapest. https://semmelweis.info/wp-content/uploads/2016/11/who_aaw-e1479220926938.jpg 599 1070 Carola Timmel https://semmelweis.info/wp-content/uploads/2018/11/logo2.png Carola Timmel2016-11-15 16:44:402019-01-09 13:06:20"Antibiotics are not a magic drug!"